President Donald Trump is to reveal whether the US will abandon the nuclear deal with Iran and reimpose sanctions. Mr Trump has been highly critical of the 2015 accord, under which Iran limited its nuclear activities in exchange for sanctions relief. European states see it as the best way to stop Iran developing a nuclear bomb. The White House has signalled that the president might stop short of reneging completely on the deal, but it is unclear what that would entail. UK Foreign Secretary Boris Johnson urged Mr Trump not to “throw the baby out with the bathwater” on Monday, while his French counterpart Jean-Yves Le Drian made clear that France, the UK and Germany would continue to honour the accord. 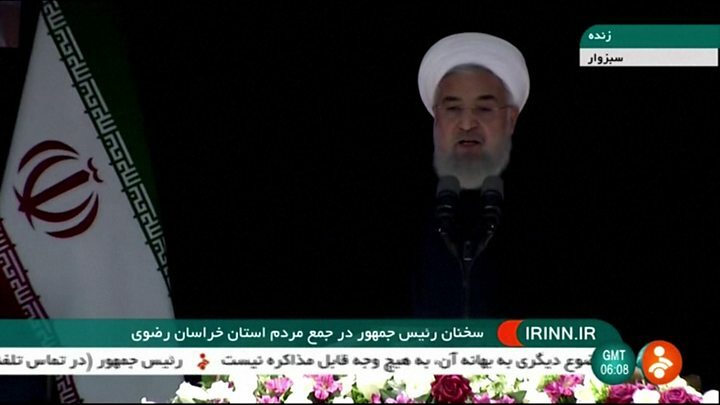 Iran’s President Hassan Rouhani has warned that his country could face “some problems” in the coming months, but stressed it will “keep working with the world”. What was agreed under the deal? 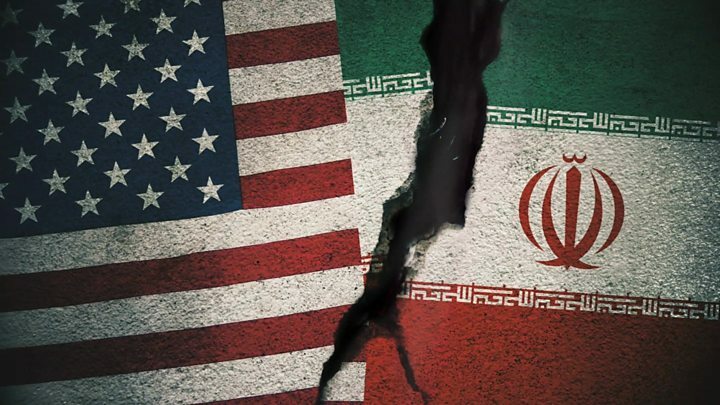 The so-called Joint Comprehensive Plan of Action (JCPOA) was agreed by Iran and the five permanent members of the UN Security Council – the US, UK, France, China and Russia – plus Germany. It saw Iran agree to limit the size of its stockpile of enriched uranium – which is used to make reactor fuel, but also nuclear weapons – for 15 years and the number of centrifuges installed to enrich uranium for 10 years. Iran also agreed to modify a heavy water facility so it could not produce plutonium suitable for a bomb. In return, sanctions imposed by the UN, US and EU that had crippled Iran’s economy were lifted. Iran insists its nuclear programme is entirely peaceful, and its compliance with the deal has been verified by the International Atomic Energy Agency (IAEA). What is the Iran nuclear deal? Why does Mr Trump oppose it? Mr Trump has called the deal a “disaster” and “insane” and twice refused to certify to Congress that Iran is complying with it. In January, he warned that the US would “withdraw” from the accord on 12 May – the next deadline for waiving sanctions – unless its “disastrous flaws” were fixed. He complained that the deal only limited Iran’s nuclear activities for a fixed period; had failed to stop the development of ballistic missiles; and had handed Iran a $ 100bn (£74bn) windfall that it used “as a slush fund for weapons, terror, and oppression” across the Middle East. European leaders attempted to persuade Mr Trump that his concerns could be addressed through a supplemental agreement. But European diplomats reportedly concluded that they had failed before the president tweeted on Monday that he would announce his decision at the White House at 14:00 (18:00 GMT) on Tuesday. What could Mr Trump announce? 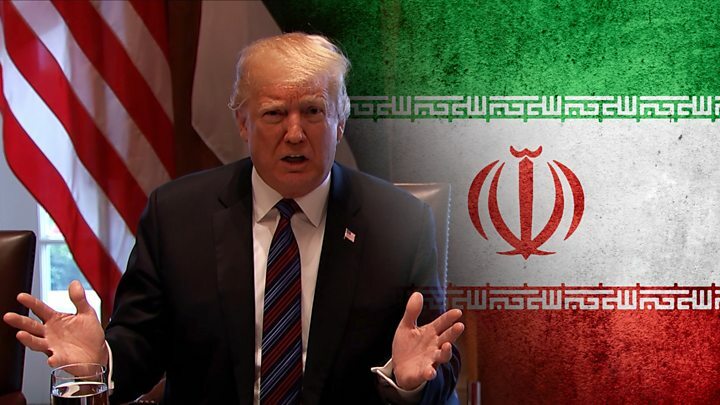 The president could immediately hit Tehran with a barrage of oil and banking sanctions, along with measures targeting Iranian companies – a hard exit that the BBC’s Nick Bryant in Washington says could effectively kill the entire deal. However, the White House has signalled that he will stop short of that. Officials told the Associated Press that Mr Trump might reimpose sanctions on Iran’s central bank, which would hit Iran’s oil exports, and give foreign companies doing business with Iran a six-month grace period to wind down operations before incurring penalties. He also does not need to issue waivers for other sanctions until later this year, including those targeting 400 Iranian companies, individuals and business sectors. President Rouhani told an audience of oil and gas executives in Tehran on Tuesday morning that if Mr Trump chose to reimpose sanctions, Iran would “face some problems for two or three months, but we will pass through this”. He stressed that “the foundation of our policy is to work and have constructive relations with the world” – an apparent reference to other parties to the deal. Mr Rouhani represents the more moderate face of Iran’s leadership, and he helped finalise the nuclear deal in a bid to ease the desperate state of Iran’s economy. But correspondents say there are other more hardline forces in Iran that never embraced the agreement and would not be unhappy to see it undermined. FMSMNews.com is a news aggregator and opinions blog. We aim to showcase news from various Alternative News Outlets to expand the reach away from MainStream Media polarizing tactics. 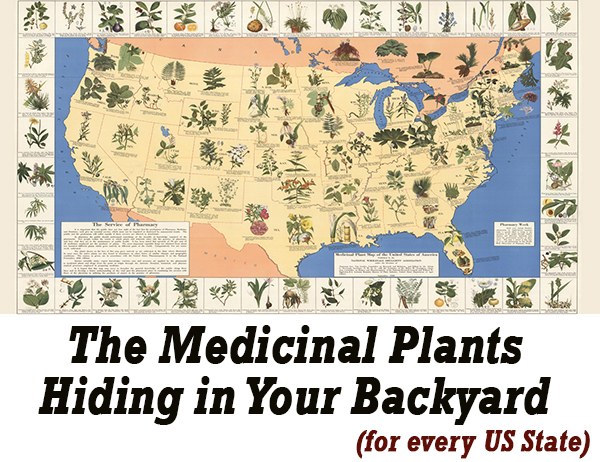 This site is owned and operated by Underlab Media Productions, Inc.